The Phantom Menace is widely considered to be the worst Star Wars film in the canon, but the badass character design of Darth Maul was one if its few saving graces, even though Maul didn’t do much in the film besides kill Liam Neeson before getting chopped in half. LucasArts wanted to dive deeper into Maul’s story with a video game that would follow Maul from being kidnapped by Palpatine to eventually becoming a Sith Lord through torturous training. 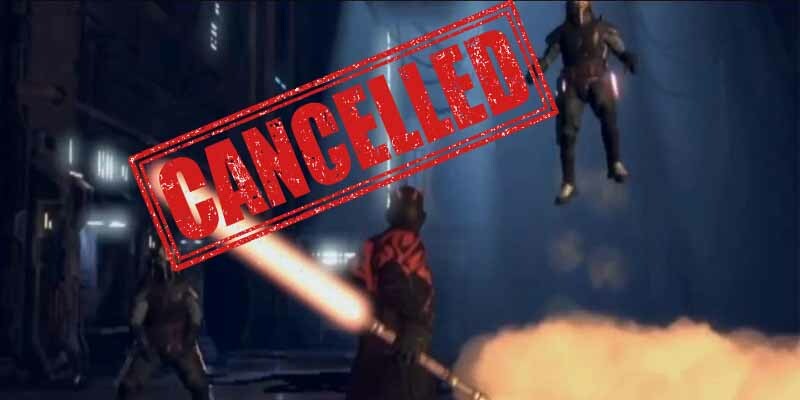 Gameplay would have followed a similar path as The Force Unleashed, highlighting insane Force powers and epic lightsaber combat. Unfortunately, Lucas’ meddling really hurt the project. He was hell-bent on including Darth Talon from the comics (even though she lived 170 years after Maul) and making it a buddy cop type of game where Maul and Talon would hunt down runaway Sith apprentices. He also kept changing his mind about other things until eventually killing the project in 2011. Nobody is really sure why, but the dominant theory is because of the imminent takeover by Disney.